Take the first step and request the FREE report HERE! The largest international coaching organization that is for 100% music academy owners only. Join our members in 43 U.S. States, Canada, Europe, Australia, South America, the Middle East and Asia who are learning the secrets to operate their businesses with the NEW model for Music Academy Success®! of the Year Contest Winner ! 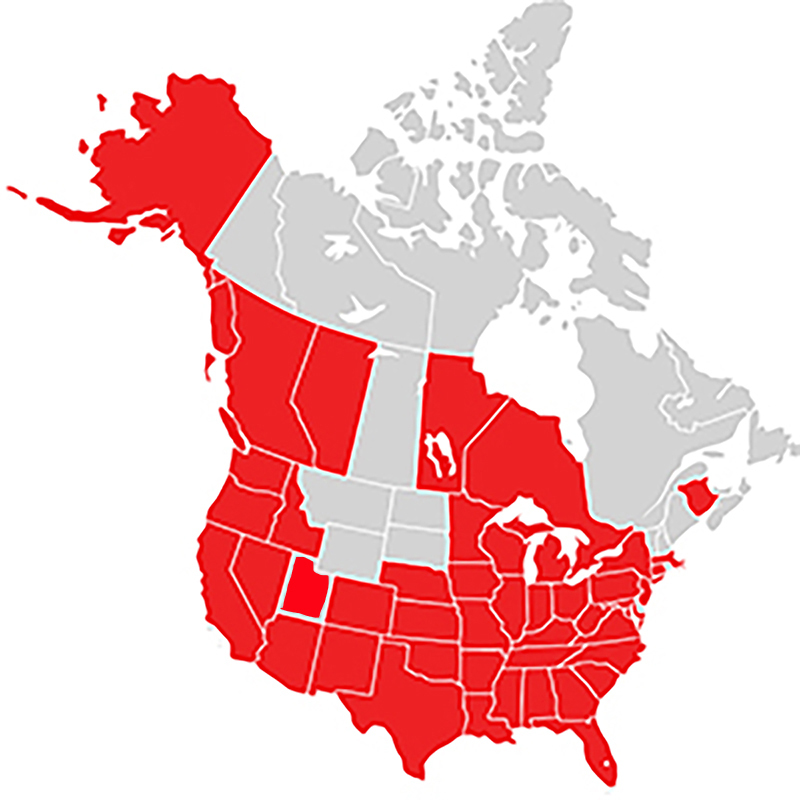 Join music academy owners from the West Coast to the East Coast in 43 US states, Canada, Europe, South America and Asia who are on the path to Music Academy Success®! Is this the year that YOU achieve YOUR Music Academy Success®? Take the first step and request your free report HERE! 2018 MASS Music School of the Year Contest Winner! Congratulations to David & Tiffani Martin, Directors of the Happy Valley Arts Academy (Oregon) for winning the 2018 MASS School of the Year Award! They grew from 100 students in their home to over 500 students in a commercial location in just 10 months! Pictured left to right Zeljko Pavlovic, Vivaldi Music Academy, Shelly Parini, the Chair of the Board of Directors North Clackamas Chamber of Commerce, Crystal Thornton, Radio Host 104.1 FM, Tiffani & David Martin, Directors Happy Valley Arts Academy, Scott Kirkland, Root Mortgage, Happy Valley Mayor Lori Chavez-DeRemer, Marty Fort CEO Music Academy Success®. 2017 MASS Music School of the Year Contest Winner! 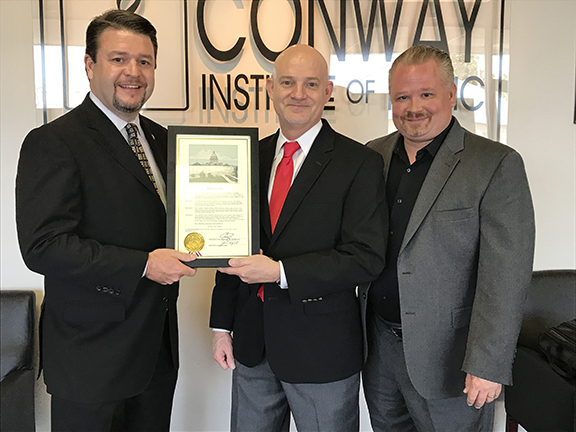 Congratulations to Jim Skelton, Director of the Conway Institute of Music for winning the 2017 MASS School of the Year Award! Jim has doubled his enrollment from 80 to over 300 students using the Music Academy Success System! 2016 MASS Music School of the Year Contest Winner! Congratulations to John Dewey, Director of the Okemos Music Academy, Okemos Michigan for winning the 2016 MASS School of the Year Award! John doubled his enrollment from 150 - over 330 students using the Music Academy Success System! He was also featured in the Lansing State Journal newspaper as well as channel WILK 10 NBC, WLNS 6 CBS and WSYM 47 FOX. 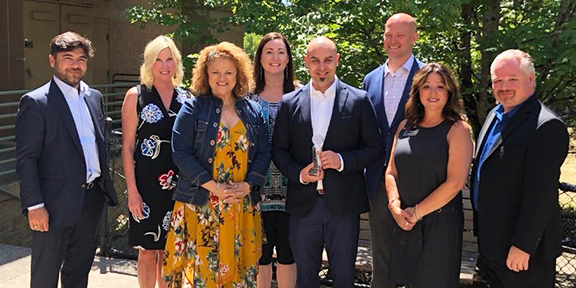 He was also recognized for his achievement by the Governor of Michigan and other state representatives along with Okemos government officials including Governor Rick Snyder, state Representative Samir Sing and state Senator, Curtis Hertel Jr. They presented him with certificates of achievement acknowledging his leadership and success in the Music Academy industry at the Michigan state capital. 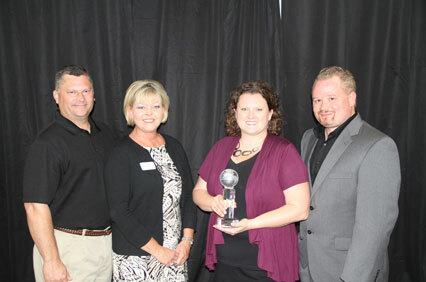 Featured in this photo Christine Zarkovich Manager, Business Development Lansing Regional Chamber of Commerce and Milton Scales, Meridian Township trustee and other wellwishers, family and friends. 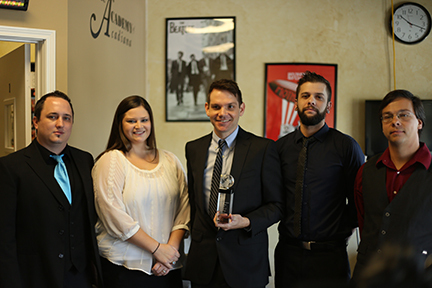 2015 MASS Music School of the Year Contest Winner! 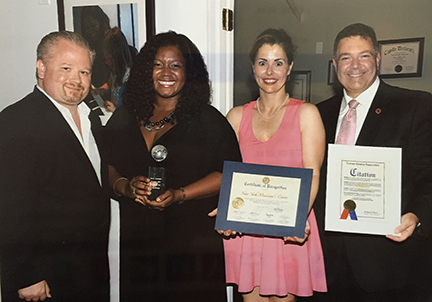 Congratulations to Dr. Talonda Thomas, Director of the New York Musician's Center in Bellmore, New York for winning the 2015 MASS School of the Year Award! Dr. Thomas doubled her enrollment in just 90 days using the Music Academy Success System! She was also recognized for her achievement by Nassau County Legislator Steve Rhodes and town of Hempstead Councilwoman Erin King Sweeney. They both presented her with certificates of achievement acknowledging her leadership and success in the Music Academy industry. Are YOU ready to become the 201 "MASS Music School of the Year?" 2014 MASS Music School of the Year Contest Co-Winners! 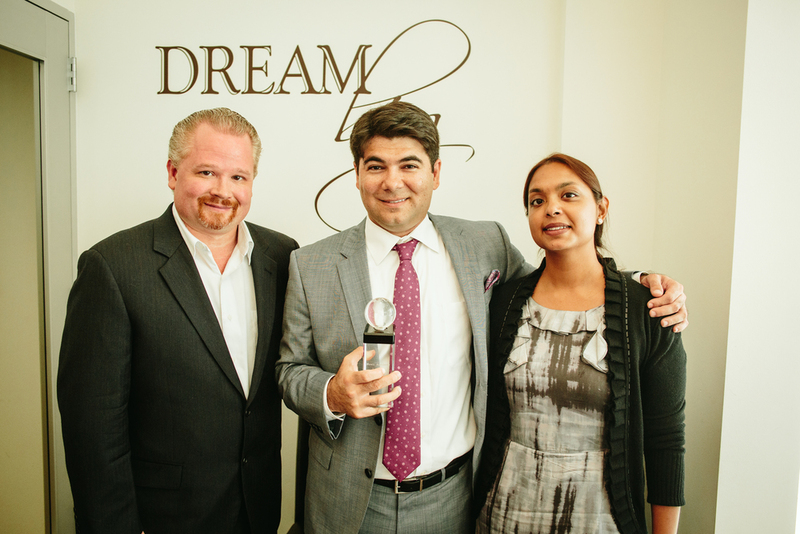 Congratulations to Zeljko Pavlovic & Uma Kundu, Directors of the Vivaldi Music Academy, Houston, Texas for winning the 2014 MASS School of the Year Award! Competition was so fierce at our annual conference that we gave out two awards in 2014 (see the other school of the year winners below). Zeljko went from zero students to over 400 in just ten months using the Music Academy Success System! He was also featured in the Houston Chronicle, one of the nations biggest newspapers. Check out their award presentation video below. As winners of the 2014 contest they also received a check for $1,000! Are YOU ready to become the next "MASS Music School of the Year?" 2014 MASS Music School of the Year Contest Co-Winner! 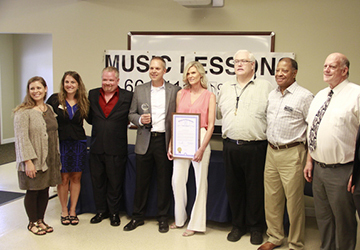 Congratulations to Tim Benson, Director of the Music Academy of Acadiana, Lafayette, Louisiana for winning the 2014 MASS School of the Year Award! Tim went from forty-five students to over 300 using the Music Academy Success System®! The Mayor of Lafayette Joey Durel also attended his award ceremony as did the Lafayette ABC news station (see the video below for Tim's award presentation). You can read the KTAC/ABC feature on Tim's success here. As winners of the 2014 contest they also received a check for $1,000! 2013 MASS Music School of the Year Contest Winner! Congratulations to Jeremy & Gwen Michor, Directors of Music Makers of Western Springs, IL (Chicago) for winning the 2013 MASS School of the Year Award! 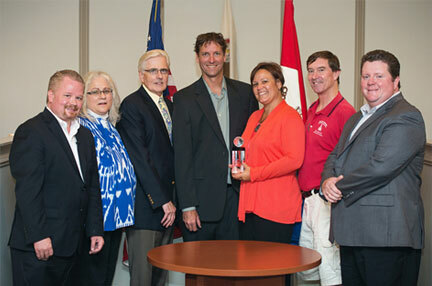 2012 MASS Music School of the Year Contest Winner! On this interview, she shares how she grew her business by 77% in less than one year! 2011 MASS Music School of the Year Contest Winner! 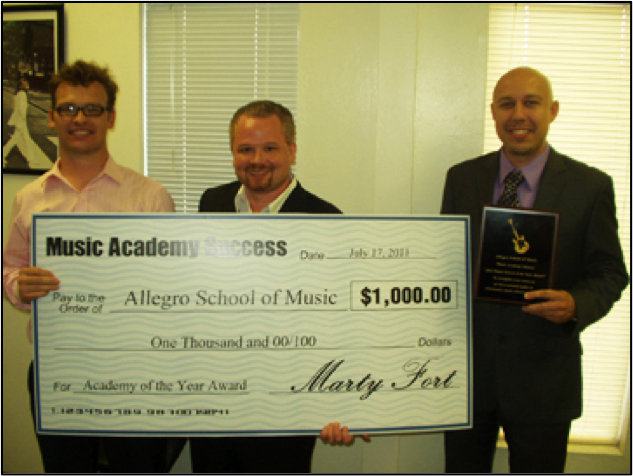 The owners of the Allegro School of Music in Tucson, Arizona went from 90 to 500 students with the MASS program! They also received a check for $1,000 for being our 2011 National Music Academy of the Year Contest winner. Download and listen to this MP3 interview to hear how the Music Academy Success® program took them to the next level! Fill out this form to request your FREE REPORT!